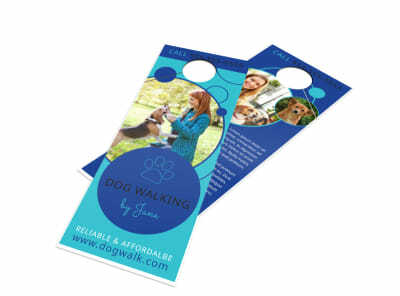 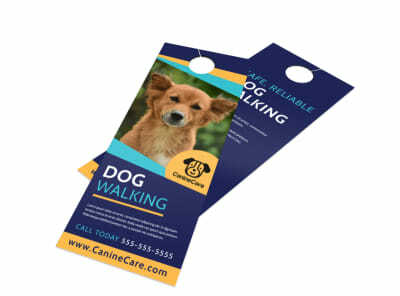 Customize our Happy Dog Walking Door Hanger Template and more! 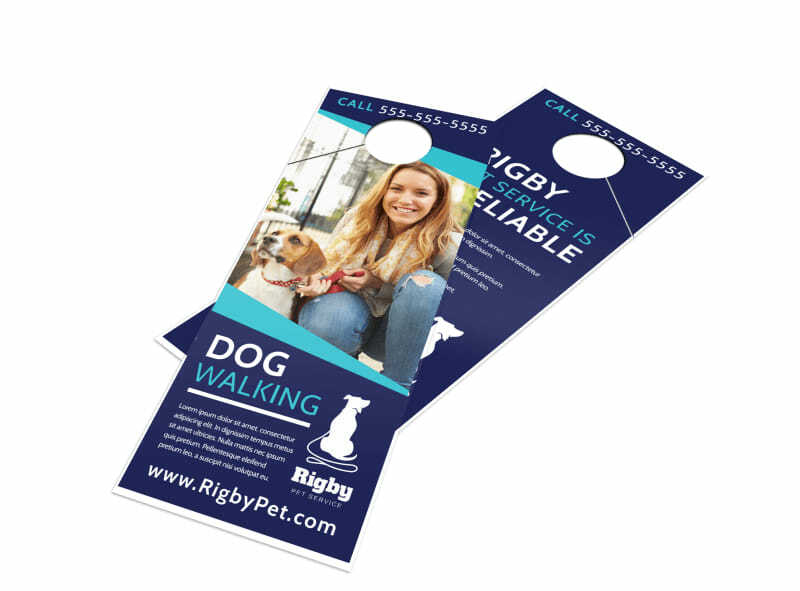 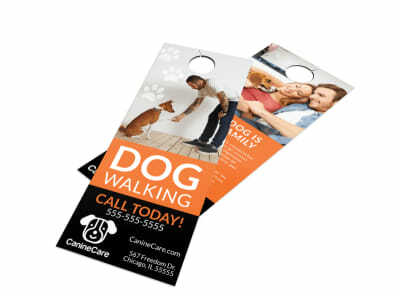 Canvas the neighborhood looking for pets to walk - and leave behind this eye-grabbing door hanger so that you never miss a potential lead. 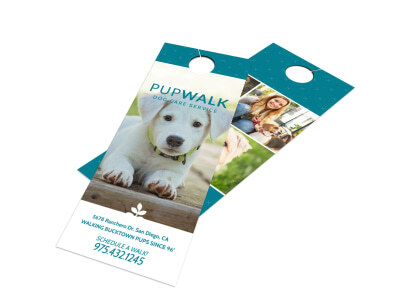 Use our interactive online editor to customize your pooch-themed door hanger with cute images, catchy text, fun colors, and more. 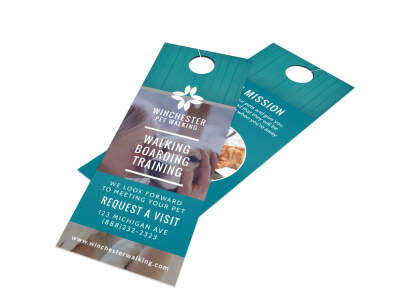 We make everyone a design pro in minutes; find out how now!